The mean meridional eddy kinetic energy over the Agulhas Current retroflection region between November 1992 and December 2004. The bathymetry contours are superimposed. 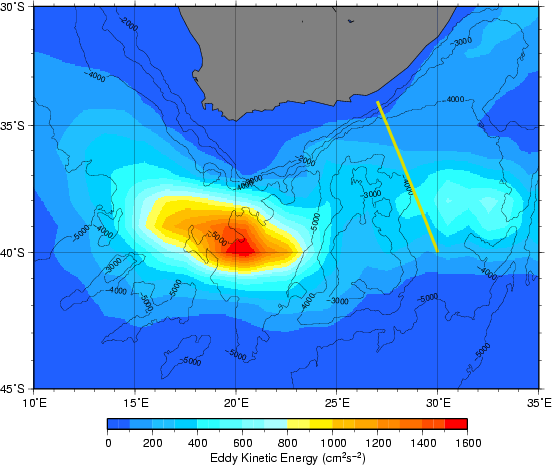 The time-series of geostrophic transport of the Agulhas Current is estimated across a selected transect (yellow line). The mean zonal eddy kinetic energy over the Agulhas Current retroflection region between November 1992 and December 2004. The bathymetry contours are superimposed. 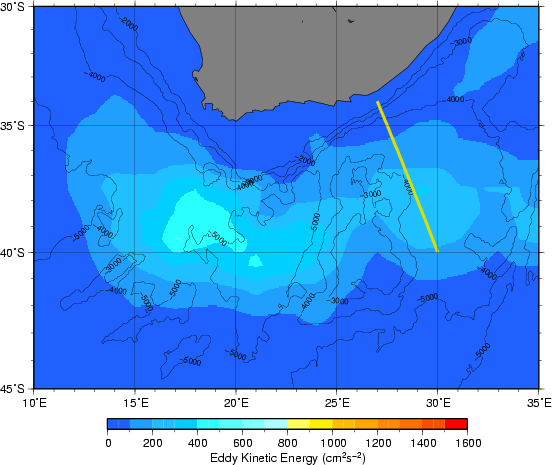 The time-series of geostrophic transport of the Agulhas Current is estimated across a selected transect (yellow line).